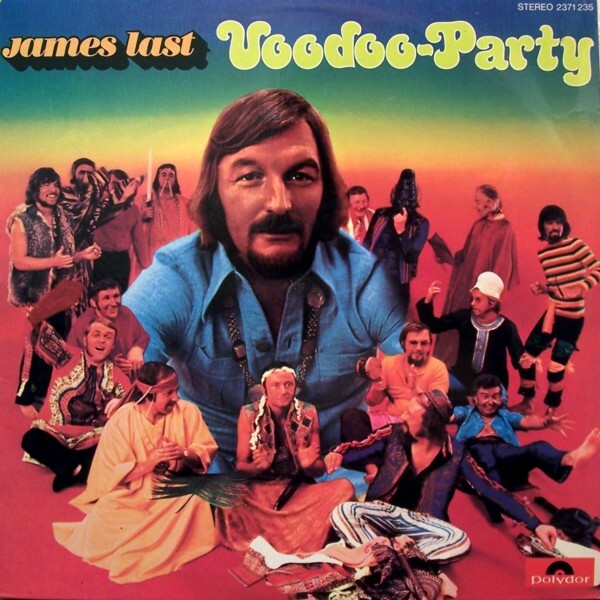 Music for Maniacs: JAMES LAST "VOODOO PARTY"
And ,yes Google Drive is very good.I even pay $1.99 for the 100gb option. Indeed Johnny, 'twas the success I've had dl-ing stuff from your great blog Die Or DIY that was one of the reasons I considered using Google Drive (along w/reader suggestions). Yep, James' medleys containing rock songs could be goofy fun (I included some on my "Oktoberfest A-Go-Go" collection, now off-line, of course.) The goofiness of "Silver Machine" is built in, but still, Last's version was the nuttiest until William Shatner's came out a few years ago. Woah! The Shat did Silver Machine? I didn't know that! That Hawkwind/Bolan/Cooper medley appears on Last's Non-Stop Dancing '73. I bought mine from some chap in Germany for half a mark (but it cost nearly the price of a new LP to ship it to me). A. This is awesome. Good lord. B. Google Drive certainly works well for me, so thanks for using it. Holy crap! Google Drive works AWESOME!!! Thanks! Greetings from Vermont - Yes, G-Drive is the One...fast and direct...it took about 3 seconds to DL JLVP...Thanx ! Yes! Go Google Drive Go! Never had any trouble downloading from DIEORDIY2 and I think along with MEGA, it is the blogging future for file sharing. Speaking of blogging legend, Mr Zchivago, I came on the comments to give honourable mention to the Silver Machine performance, but I see he beat me to it! Loathe him or love him (and for me the Silver Machine performance among other things, puts me in the latter camp) - very few people have had such global success and I like the fact you picked my favourite JL album to pay your respects (the entire non-stop dancing 73 of which the Hawkwind cover is part of the melody is pretty damned fine, as is the 1975 album Well Kept Secret AKA In Los Angeles - but overall, I would say Voodoo Party is JL at his wildest (actually, in recent years, the album has gained a cult following amongst the funk/afro-funk/disco DJs). You have to be dead from the eyebrows up to not love the covers of Jin-Go-Lo-Ba, Everyday People and Inner City Blues and how can anyone not melt at Mr Giant Man? 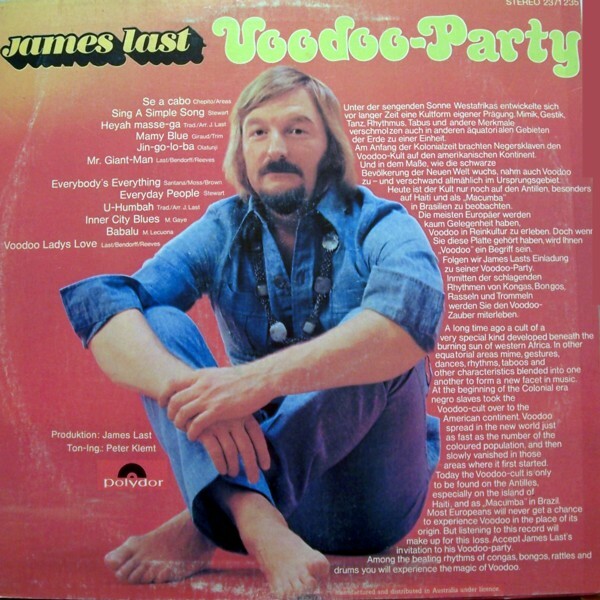 PS> Can't remember if it is the Spanish issue, but one version of Voodoo Party has a really great album cover, much more Les Baxter in keeping with the "exotica" theme. Fab, Mr Fab, Really Fab! Voodoo Party. What an awesome record sleeve.